Sherlyn fools everyone and hides her pregnancy. She tells everyone that she has acidity problem. Rakhi blames Rishabh for her condition and tells that he had gifted her a dress, but it was tight so she started dieting so that she can wear that dress. Kareena tells Sherlyn that she will pull Rishabh’s ears. Shristi says you would have got the dress size changed. Rakhi says Doctor said that it was a severe case of acidity and asked her to rest. Sherlyn tells that Doctor teased her. Sherlyn tells that the dress is precious and that’s why she doesn’t return it. Chachi still maintains that she is pregnant. Rakhi can’t believe her. Rishabh apologizes to Sherlyn to doubting on her and says I thought you are pregnant. Sherlyn sheds fake tears and says who can you think of me with someone else. He tries to console her. She hugs him and asks him to trust her. Karan and Preeta argue about Sherlyn and Prithvi. He tells that he is sure that Prithvi is Sherlyn’s baby’s father. Later Rishabh confesses his love for Preeta seeing her picture and says he has stolen her picture after gathering much courage. Karan sees him getting emotional holding the picture. He will know about Rishabh’s feelings for Preeta and decide to unite them. 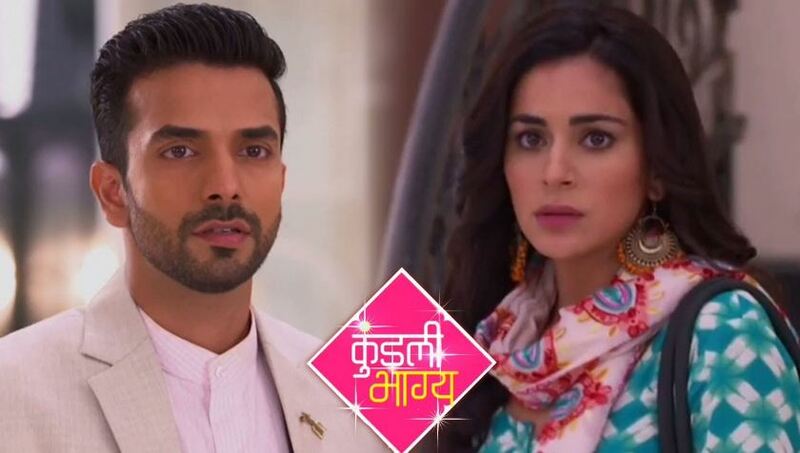 Will Karan sacrifice his love for Preeta? Keep reading.